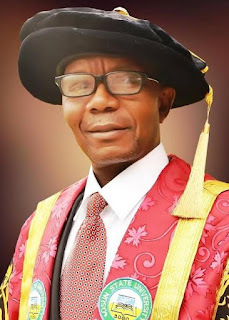 The Vice Chancellor of Osun State University, Osogbo, Prof. Labo Popoola has said the school was not aware that its alumni body held election not to talk of alleged interference that was reported on some online media. Speaking with our correspondent on the telephone on Tuesday, Popoola said the alumni only wrote the university and requested usage of its auditorium insisting that the management was not aware of any election held. A non governmental organisation, People's Advocacy Vanguard (PAV), had accused the school management of not following due process in the emergence of one Aboderin Olumuyiwa Aduragbemi. The group warned the management, Alumni Board of Trustee, and Uniosun Alumni Association, to declare the purportedly held election as null and void. The organisation further threatened to drag the BoT and the alumni Electoral Committee before the court if they failed to expedite action and act within seven days. But the Vice Chancellor said, "they (alumni body) wanted to use the auditorium. They are part of the university; They are stake holders; We are not even aware that they want to hold election. They just wrote us that they needed an auditorium and why won't we give it to them when they are part and parcel of the institution? It's not the school business at all, about who becomes the alumni whatever." Aduragbemi was said to have earlier told the BoT that he was the facility manager and business development manager of a Transport Infrastructure, Engineering and Procurement Organization" Planet Project Ltd, in Lagos.